Getting locked out of your house for whatever reason is always a slightly stressful affair. It’s one of those experiences that catches you off guard and leaves you wondering where on earth you’re going to get a locksmith’s number, and you could imagine that this feeling is only more intense if you are locked out at a late hour. With that in mind, here are a few good reasons to have a locksmith handy, which means knowing and trusting one long before you plan on getting locked out, because really, that’s not something you can ever seriously plan for. Just moved into a new neighborhood? It’s good practice that is often overlooked, to find essential service providers around you when you first move into a new neighborhood. For sure, you can still use your old residential locksmith located miles away, but keep in mind the effect the added travelling will have on the callout fee. Not to mention you will be left standing on your driveway for longer as your locksmith battles through traffic. Nobody wins in this scenario. Don’t wait until you’re locked out before you give this any thought. 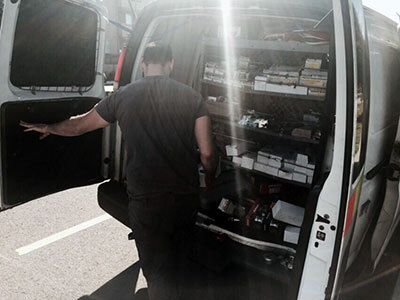 Do a quick scout and meet and greet with the local businesses who offer emergency services when you first move in, and needing emergency locksmith services won’t be such an ordeal. If you like, ask your new neighbors. They ought to know a reliable residential locksmith from their personal experience. You can also check for adverts in local newspapers or magazines who advertise for lockout services. This is a very efficient way to do it, although the options could be a little bit limited, since the popularity of this way of advertising is waning. Probably the best way is to search the web. More and more lockout companies are advertising their services on the web. Doing it this way will give you plenty of options to choose from which vary in prices, distance from you and types of services offered. Once you’ve scouted around and found all the service providers you think you might need at some point, keep their contact details on a list. Have them in the house, where they can always be easily found, or in your wallet. Because you never know when you might need the number for an emergency locksmith, and believe me, when the time comes you will really need one. We at Locksmith Bolingbrook are local, reliable, and at your service 24/7! So count on us to be your emergency contact whenever you run into lock and key issues.